The government of Sudan continues to carry out indiscriminate attacks and bombardment against civilian populations, block humanitarian aid, and commit other inhumane acts against its own people. This should not come as news to the U.S. government and the international community. But as the government of Sudan’s assault against its own civilians in the southern states of South Kordofan and Blue Nile drags into a second year, powerful new evidence of Khartoum’s brutality continues to emerge, demanding that the international community act immediately to protect hundreds of thousands of vulnerable civilians. This week, the Enough Project released two reports containing stark evidence of the government of Sudan’s perpetration of crimes against humanity in South Kordofan and Blue Nile. The reports reveal the depravity with which Khartoum’s security forces operate and demonstrate the rapid deterioration of the humanitarian situation in the two states. Meanwhile, Khartoum continues to block international humanitarian aid organizations from accessing civilians in areas under the control of the Sudan People’s Liberation Movement-North, or SPLM-N. A report, released yesterday, documenting findings from a food security and nutritional assessment conducted in South Kordofan in August 2012 reveals a dire situation. More than 80 percent of households surveyed are currently surviving on only one meal per day, compared to just under 10 percent one year ago, and 0 percent two years ago. The report, released by the Enough Project but written by an aid organization that wishes to remain anonymous for security reasons, shows the prevalence of malnutrition among children is “serious” bordering on “critical” — the worst or most dire classification possible — and has reached the critical stage for many young girls. There will be insufficient harvest in the upcoming dry season due the Sudan Armed Forces’ persistent attacks — like the one caught on the cell phone video — and bombardments that displaced or otherwise kept civilians from planting seeds. These findings reveal a situation similar to that which existed in Somalia towards the beginning of 2011, where ultimately a famine was declared and hundreds of thousands of people starved to death. Despite a variety of diplomatic efforts by the international community, including a formidable display of unity by the United Nations, African Union and Arab League of States who came together as the “Tripartite Partners” to call on the government of Sudan to allow humanitarian aid into South Kordofan and Blue Nile and come to a cease fire agreement with the SPLM-N, the government of Sudan has categorically ignored calls to permit international humanitarian aid into the two states. In the coming days and weeks, when the African Union and the United Nations Security Council review the situation in South Kordofan and Blue Nile, the international community must not forget what is at stake. 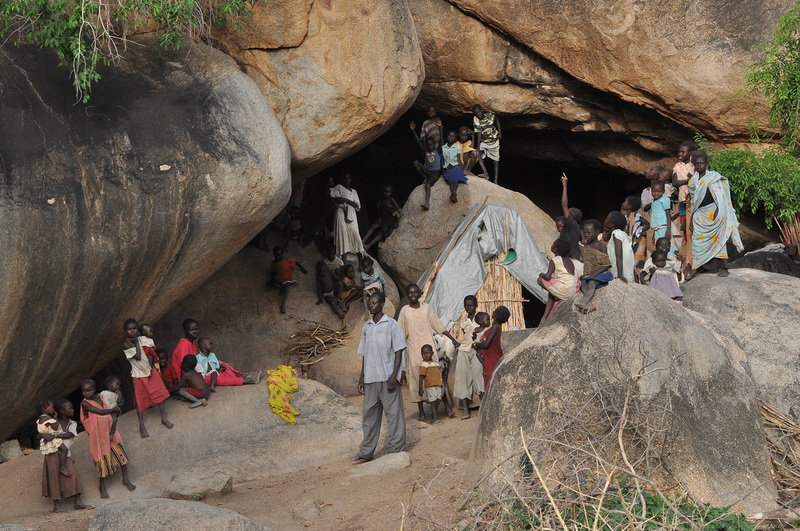 Nearly 400,000 Sudanese civilians are today in SPLM-N controlled areas in South Kordofan and Blue Nile, effectively cut off from access to international humanitarian aid and under constant threat of attack by Sudan Armed Forces. Negotiated humanitarian access into the two states remains the most effective way to deliver food, but at this point it remains uncertain if this route will be successful. If negotiated access is not reached immediately, alternative channels must be utilized to ensure that international humanitarian aid reaches civilians in the two states. Under the Responsibility to Protect Doctrine, the burden to protect Sudanese civilians has already shifted to the international community and swift action is required.